BBC news with Suman Gamry. President Trump has warned Russia in the starkest terms that he will respond to reported chemical weapon attack by Syrian government allies. Barbara Plett Usher reports from Washington. The President has again taken to combat by Twitter as the Pentagon weights a military strike against Syria. In a tweet Mr. Trump said "get ready Russia, because missiles will be coming" as he put it, "nice and new and smart". He also said Russia shouldn't have allied itself to President Bashar al-Assad who he called a "gas killing animal". Earlier Russia's ambassador in Lebanon said his country would shoot down any US missile fired at Syria. Reports from the Syrian city of Douma said dozens of people died in a gas attack just before rebels there capitulated. President Assad's government denies using chemical weapons. The speaker of the US House of Representatives Paul Ryan has announced that he will not run for re-election in November. Mr. Ryan told the news conference he was proud to have seen through congressional reforms, including sweeping tax cuts and increased support for the military. Probably the two biggest achievements for me are, first, the major reform of our tax code for the first time in 36 years, which has already been a huge success for this country. That's something I've been working on in my entire adult life. And after tax reform, addressing our military readiness crisis that was a top priority that we got done last month as well. Mr. Ryan's departure follows a wave of retirements of Republican members of the House. 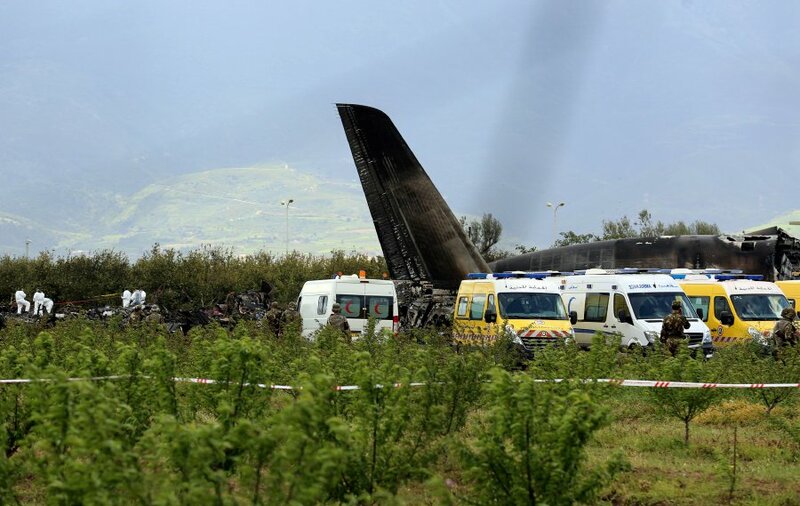 A military plane is crashed in Algeria, killing more than 250 people. The aircraft came down shortly after takeoff at Boufarik military airport near the capital Algiers. Roni Jeva reports. Pictures from the scene of the crash showed dozens of body bags lying in an open green field. Officials from Algeria's Ministry of Defence say most of the dead are military personnel. Others who perished in the crash included the crew and people described as family members of those on board. An official from Algeria's ruling party said there're also 26 members of the Western Sahara Polisario Movement on board the military aircraft. The Polisario Front is an Algeria-backed separatist group, which has been struggling for the independence of the disputed Western Sahara territory that was annexed by Morocco in 1975.